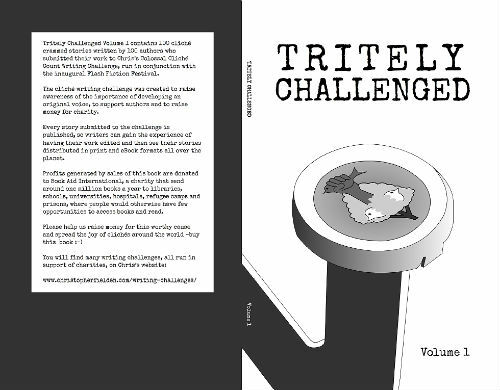 I'm proud to present Tritely Challenged Volume 1, the first book in the Tritely Challenged Series. The book was officially released on Saturday 28th April 2018 and contains 100 cliché-crammed flash-fiction stories, written by 100 authors who submitted their stories to Chris's Colossal Cliché Count Writing Challenge. The challenge was launched in conjunction with the inaugural Flash Fiction Festival in the UK. Many of the stories were written at workshops at the festival. After the festival closed, the challenge was opened up to everyone on my website. 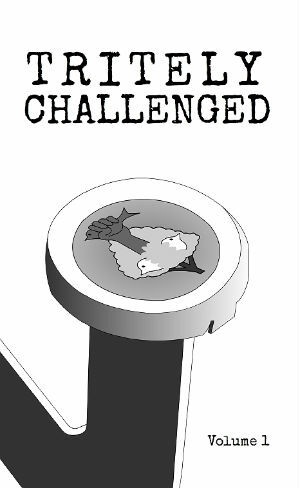 Tritely Challenged Volume 1 is available from Amazon in print and Kindle eBook formats. Proceeds from book sales will be donated to Book Aid International, a charity that send over 1,000,000 new books to libraries, schools, universities, hospitals, refugee camps and prisons every year. You can learn more in the 'about the anthology' section below. Tritely Challenged Volume 1 contains 100 cliché-overloaded stories submitted to Chris's Colossal Cliché Count Writing Challenge. 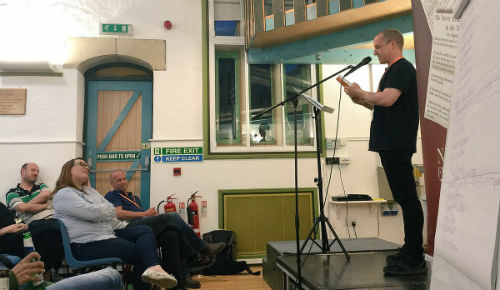 The challenge was launched at the inaugural Flash Fiction Festival, where I ran some writing workshops for attendees. Tritely Challenged Volume 1 was released on the same day as Nonsensically Challenged Volume 2. These books are the 6th and 7th anthologies released via the writing challenges. 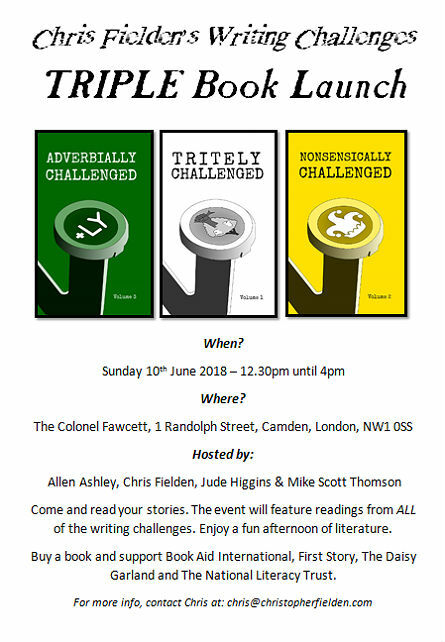 All the writers in Tritely Challenged Volume 1 submitted their stories to Chris's Cliché Challenge which is one of the many writing challenges run on my website. Abigail Rowe, Alan Barker, Alan Pattison, Aleksandra Petrovic, Alicia Sledge, Allen Ashley, Ally Howie, Amanda Garzia, Angela P Googh, Ann Tonge, Arlene Everingham, Betty Hattersley, Bridget Scrannage, Bryan Keefe, C.I. Selkirk, Catherine Assheton-Stones, Céline Samson, Chris Leahy, Christopher Fielden, Christopher Stanley, Claire Apps, Claudie Whitaker, David Silver, David Turnbull, David Wright, Dawn Ovington, Dee La Vardera, Donna-Louise Bishop, Dorothy Snelson, Ejder S. Raif, Franca Basta, Frank Hubeny, Gary McGrath, Gavin Biddlecombe, Glen Donaldson, Helen Combe, Helen Fawdon-Rochester, Helen Rye, Helena Boland, Jack Caldwell-Nichols, Jack Hanlon, Jamie Graham, Janet Lister, Jill Yates, Jo Simmonds, John Notley, John S Alty, Jonathan Heriz-Smith, Jude Higgins, Julie Webb, Juno Grace, JY Saville, Kathryn Evans, Kit de Waal, Len Saculla, Lesley Anne Truchet, Lesley McLaren, Liz Falkingham, Louise Mangos, Lynn-Marie Harper, Maddy Hamley, Malcolm Richardson, Mangal Patel, Marcus Robinson, Margaret Duffy, Margaret Edwards, Margaret Stokes, Marie Gracie, Marion Turner, Martin Strike, Mary Bevan, Meg Gain, Melanie Goodell , Michael Rumsey, Michelle Konov, Mike Scott Thomson, Molly Apps, Neil Brooks, Pat Hough, Paul Garratt, Prajith Menon, Richard Swaine, Robbie Porter, Robert Barrett, Ron Smith, Ronald Hall, Rose Cheung, Rose Farris, Sandra Orellana, Sandra Phillips, Sandra Unerman, Sara Siddiqui Chansarkar, Sivan Pillai, Sue Johnson, Sue Partridge, Tracy Lee-Newman, Valerie Griffin, Ville Nummenpää, Vyvien R. R. Beauxchamps and Wendy Kelly. I'd like to say a huge, "Thank you," to each author. Without them, this book would not exist. For every book sold, £1 will be donated to Book Aid International, the UK’s leading international book donation and library development charity. 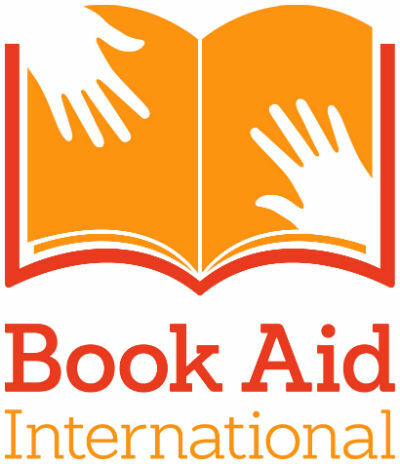 You can learn about Book Aid on the about page of their website. If you'd like to submit a story to the cliché writing challenge, you can do so here. Every story is published. Each time we receive 100 stories, we publish a book. 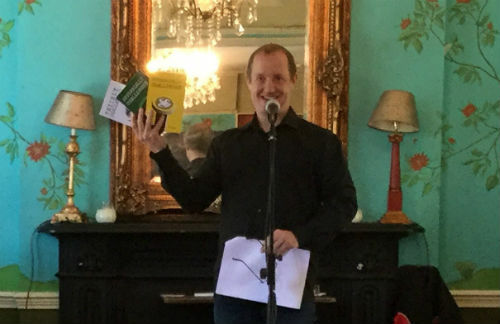 The event was a triple book launch because we also celebrated the launch of Adverbially Challenged Volume 3 and Nonsensically Challenged Volume 2. 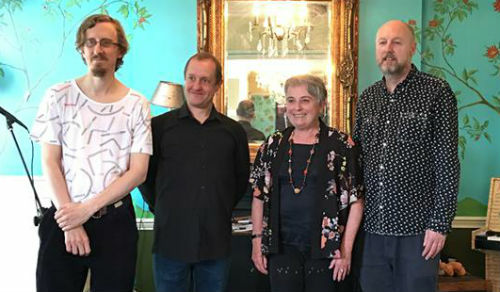 The event was hosted by Jude Higgins, Allen Ashley, Mike Scott Thomson and Chris Fielden. 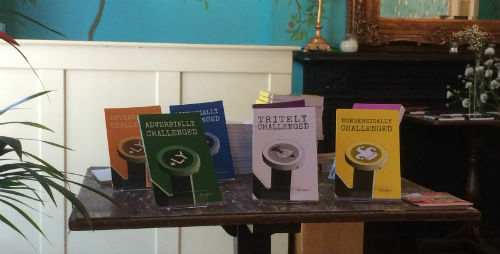 The cover of Tritely Challenged Volume 1 was designed and created by David Fielden. 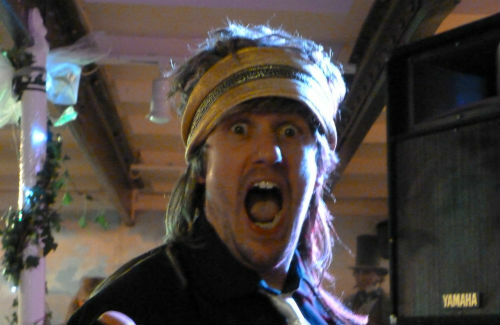 Dave likes to defy convention by wearing mullet wigs and belts from cheap toga costumes on his head at events that usually require a formal dress code. He also likes designing book covers and websites. You can learn more about that at Bluetree. Dave is Chris's brother and, therefore, one of the luckiest people on the planet. Chris, I regret that I shall be unable to make the Tritely Challenged Book Launch, as I and my twin brother are headed to Italy that day. I do intend to buy a copy on the launch day, however. Do you know what the sale price is likely to be? Hi Ron. Sorry to hear that, but no worries - I hope you have a good time in Italy. The printed book will be around the £6 mark, so probably £5.99. The Kindle version is usually £2.49. If I may be so bold, what was the thinking of calling cliché vol 1 Tritely? I look forward to the double launch at the end of this month..
(of a remark or idea) lacking originality or freshness; dull on account of overuse. (rare) In a clichéd fashion or manner. I've posted the first review of TC1 on Amazon. I hope I didn't go over the top. It's perfect, thanks John - totally in keeping with the book. Hello Chris. Just received my copy of Tritely Challenged Volume 1. That makes four books I now have short stories in, thanks to your challenges. It's great when the book pops through the letterbox and I can read my story in print. What is extra special is the diversity of stories in each volume. You have allowed all these talented writers of find a voice. So much so that, after years of writing and editing, I finally had the confidence to produce my own novella as an eBook available from Amazon. Called Splash Point, as mentioned in my latest biography, it was written in Rome. The hotel in question is one you would not like to stay at as, down in its depths, are eight nymphs. If they like you, all is well. If not... well, one guy was turned into a marble statue, another a fish. There is humour, drama, time travel as well as strange goings on. I am sure you would like the quirkiness of it. All this has occurred because of the confidence I gained through your challenges. If you would like more details for your blog as to how the story came about, please let me know. Hi Alan. Thanks for sharing that with me - that's fantastic. Congratulations on publishing your eBook. It's great to hear that the challenges helped give you the confidence to do that. News like that makes running them worthwhile. It would be great to hear more about your journey. If you like, you could write about it for the blog. I'm sure other writers - especially the ones who submit to the challenges - would find it interesting. If you'd be interested in doing that, please review my submission guidelines so you can see what I'd need from you.